Nutraceutical is the term combination of “Nutrition” and “Pharmaceutical” which defined as food, or parts of food, that provide health benefits and prevention of diseases. According to market statistics, the global nutraceutical or functional food market is growing at a rate that is outpacing the traditional food market. 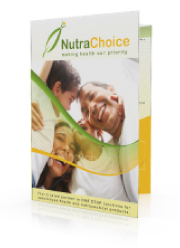 Since started in 2008, Nutra Choice is a trusted partner that provides support from the inception of a product idea, through the formulation process to the manufacturing of the functional food and supplements. 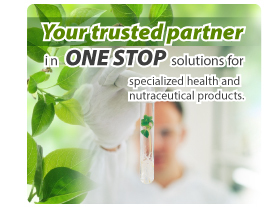 We have more than 10 year experience in health food manufacturing and product’s development. Thus, we know the problems that manufacturers are facing and we are here to provide solutions. We have strategically aligned ourselves with some of the world’s finest and most innovative ingredient manufacturers. With the extensive portfolio of our partners, we able to deliver a diverse selection of healthcare materials and solution to make you outstanding from the others. Our ingredients manufacturers are certified HACCP, GMP, ISO and Halal to meet high standard of quality and requirements. We are supplying high quality products to companies ranging in size from the small to the large include companies from the tea, beverage, food, health supplements, pets food and skincare industries. Consultation on rules & regulations in Malaysia such as food-drug interface classification permitted nutritional claims, etc. With a good partner, Nutra Choice can become a fruitful addition to your products, helping you set your company apart from the competition.